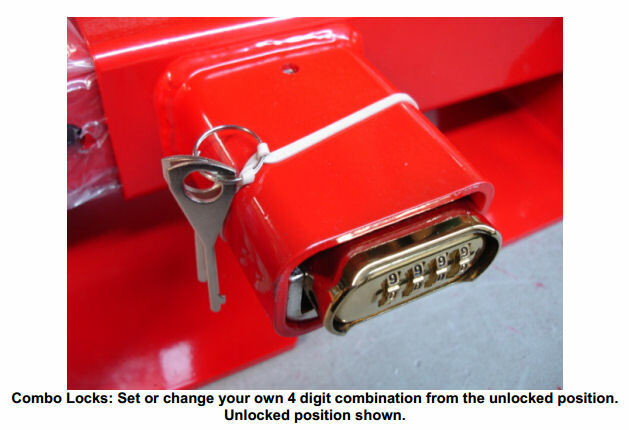 Secures the steering wheel in the turned position while attached to the brake pedal. 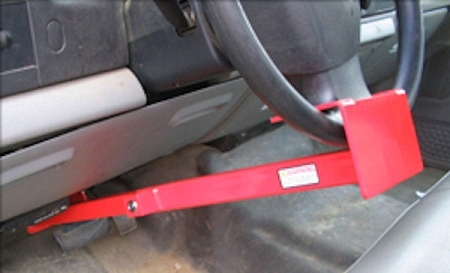 • Fits pick-up trucks, heavy equipment, and over-the-road trucks. With the steering wheel tilted down, lock adjusts from 28" to 33" from the wheel to brake pedal. Wheel to Pedal Locks 7 lbs. Box Size: 6" x 6" x 18"